Good motivator for planning your next trip? Plot your personal latitude record … then beat it. Handily. Waiting for you at 65.9295° N in Ranua, Finland: Arctic Fox Igloos, a village of ice bungalows located just off Lake Ranuanjärvi. The burgeoning Lapland region already has its share of inspired overnights, but few options are as expertly designed and immaculately located for aurora borealis chasers as these. 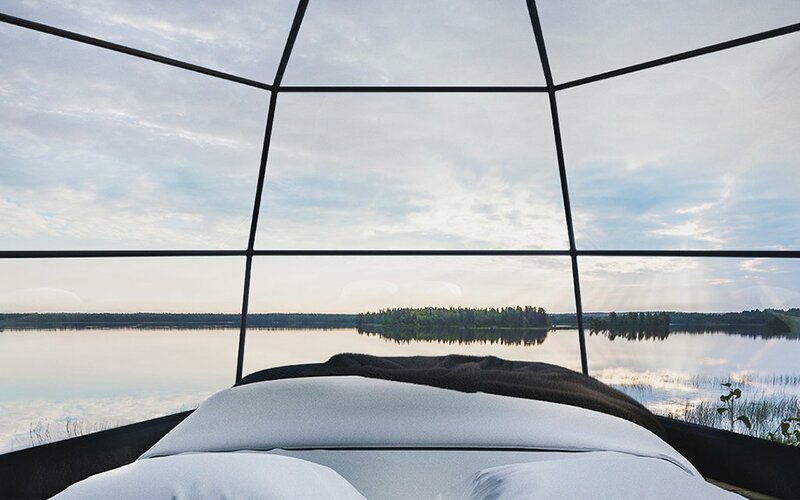 Each comes with a double bed or two single beds under a glass dome, just off the shore of the lake and aimed at the stars. The rest of the space offers a kitchenette, bathroom, sauna, coffee maker, fridge and electric water boiler. Breakfast is included in your booking, and you’re going to need a good heaping of it before you take advantage of some high-latitudinal pursuits, like riding a sleigh with Finn horses, heading out on a snowmobile safari or ice fishing. Expect clear skies (you’re several days journey from any source of light pollution), wild reindeer and maybe even a polar bear or two. 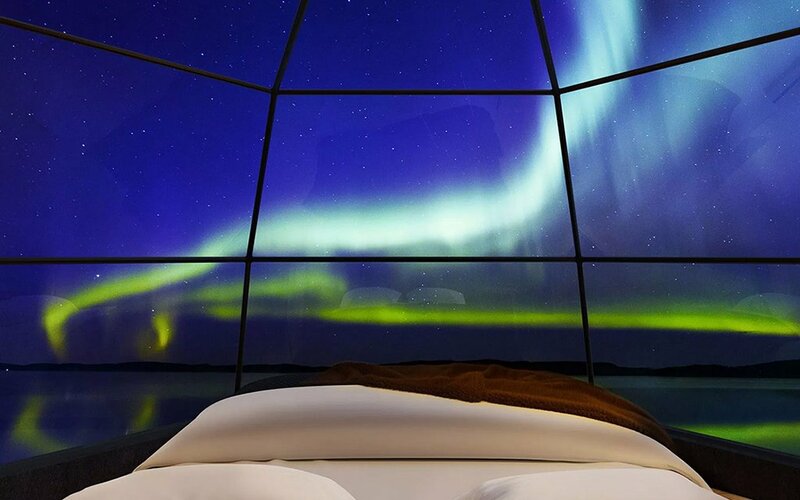 Book your stay here, and plan to go in the next 3-5 months, right when the Northern Lights start heating up. One thing you won’t find in the room? A TV. The show’s outside, pal.